There is something magical about hot air balloons, especially when you can can see several all at once. 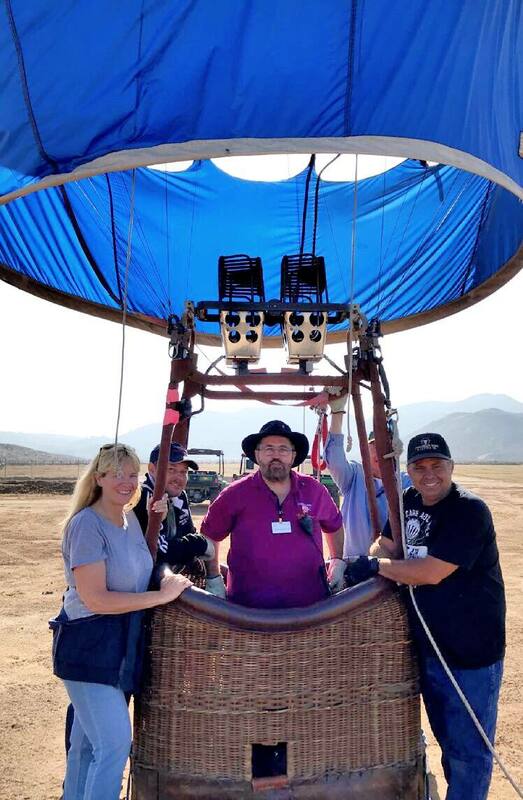 Once a year Temecula Valley hosts a hot air balloon festival. 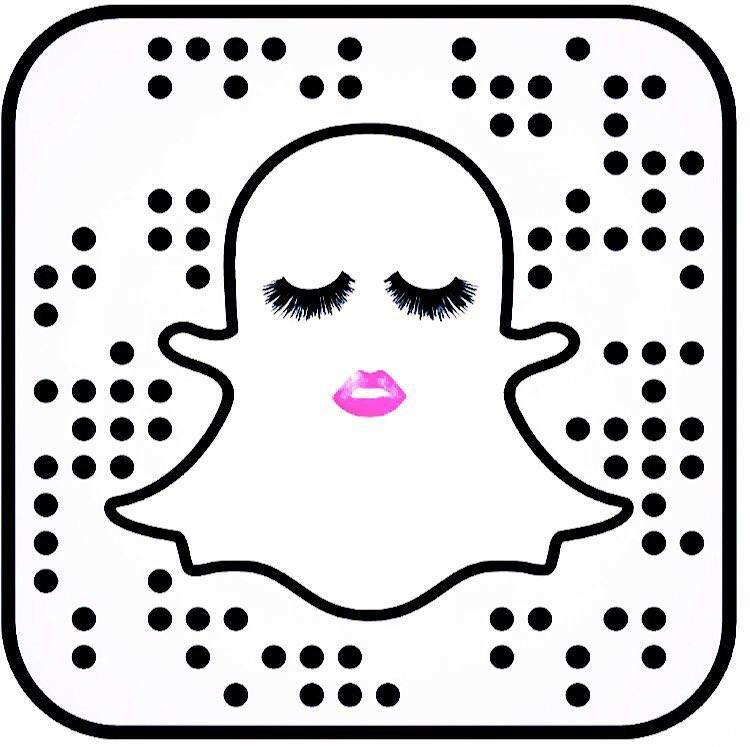 This event is so fun it is something that you should experience once in your life. 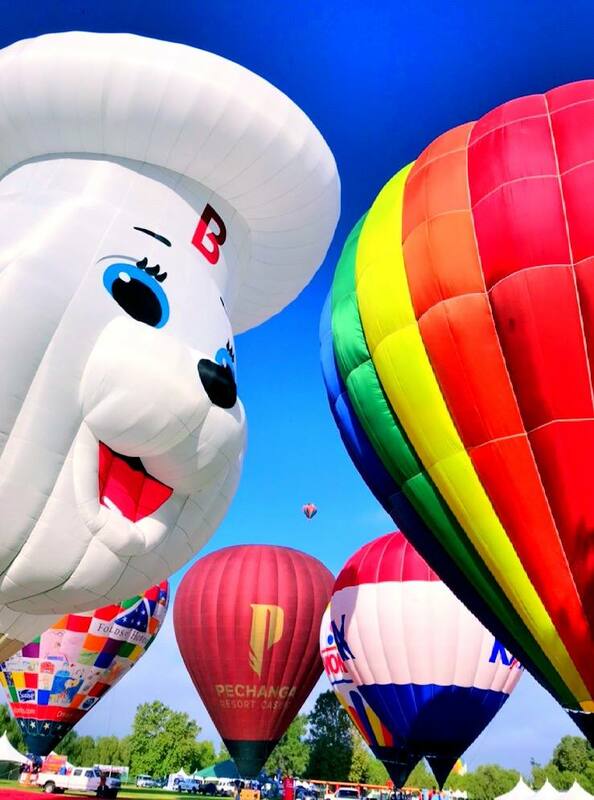 This year was the 35th year of the Temecula Valley Balloon & Wine Festival. 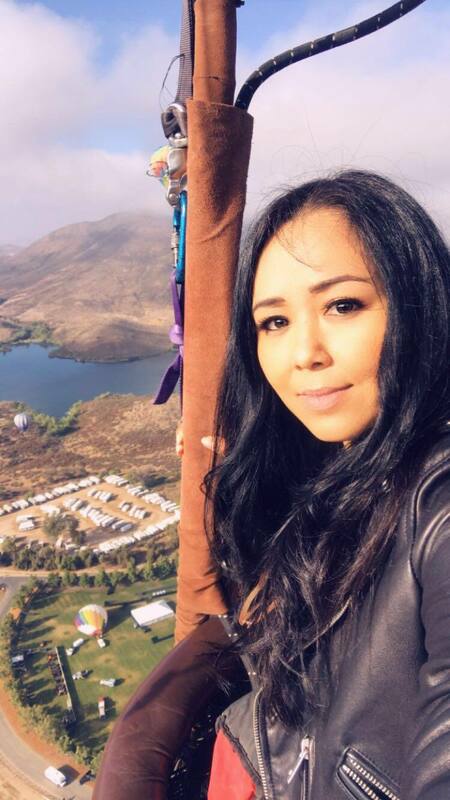 It is held at Lake Skinner Regional Park and is a three day festival where you can try wines from Temecula Valley, ride hot air balloons and enjoy the weekend with friends and family. 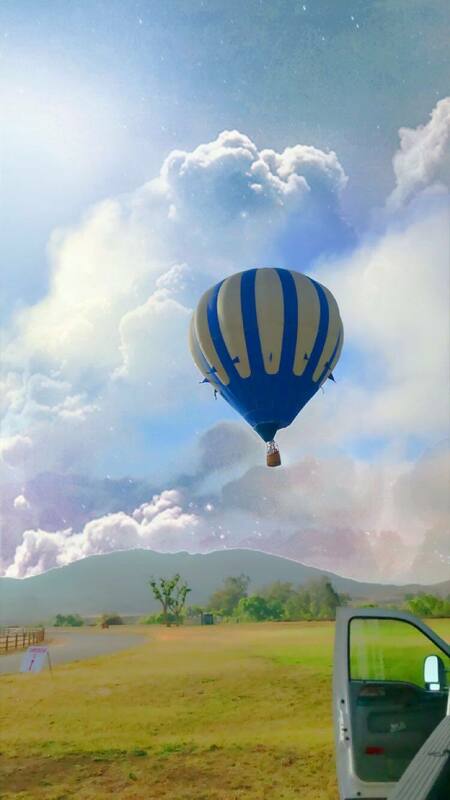 One thing you should remember is that Hot Air Balloon Flights are very early in the morning so be sure to check times so that you don’t miss them all together. 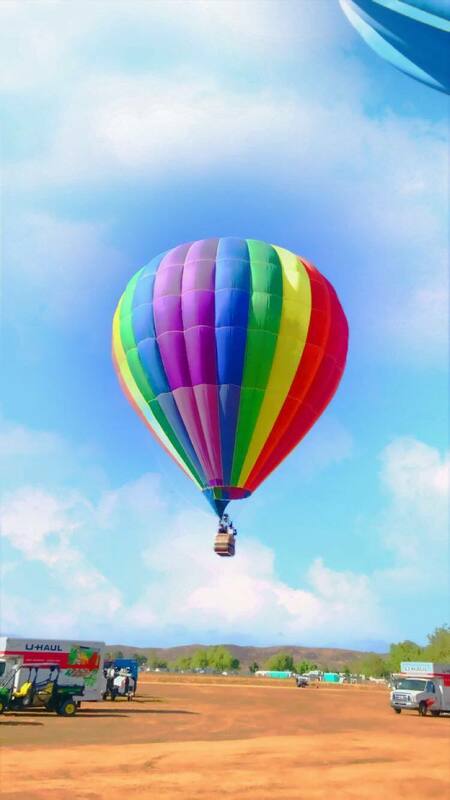 They do not fly balloons in the afternoon because of weather. One of the best parts of the festival is the evening Balloon Glow. 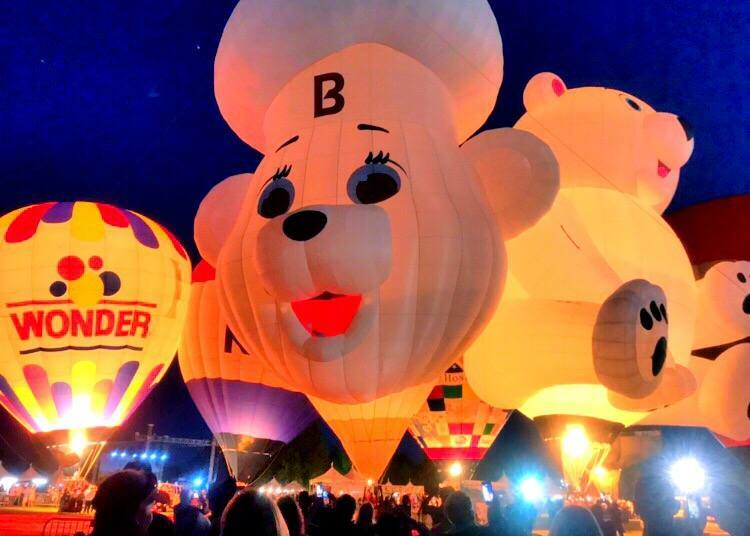 They light up some of the sponsor balloons and a lot of them have fun shapes like bears, wine bottles and they also have the traditional hot air balloon shapes. The festival also has wine Tastings, craft beer tastings, a Kids Fair, shopping and food trucks. This is one of the biggest annual events in Temecula, over 30,000 people show up to it. You can camp at the park but make sure you buy your permits before hand because I heard the sell out the day they are released. There is live music all day as well as performances from different bands including a country music day. Another tip is that if you are spending the day or three days at the festival bring blankets to sit under the big trees that are in the park. There isn’t any seating so if you want to also bring a fold out chair you can. You can find a place that you want to spend the day and leave your blanket and chair there while you tastes wines or beer and relax while listening to the live entertainment. There are tethered balloon rides in the morning that are free that you can also participate in. If you haven’t had the chance to float up in the air in a hot air balloon you should. I went up with a seasoned pilot. You go up about 3,000 feet and the wind carries you through the sky. It’s really relaxing and the views are incredible. The experience is not scary at all. Make sure you are wearing appropriate clothing because you will be climbing in and out of the balloon and closed toe shoes are recommended. My balloon crew was five people including the pilot. Only three of us went in the balloon but most commercial balloons can fit about 10-15 people depending on the weight limit. 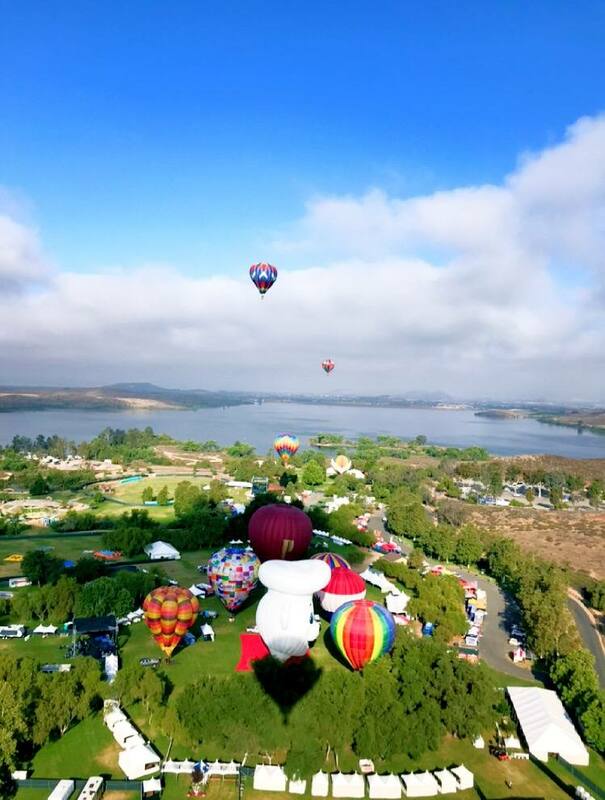 The Temecula Valley Balloon & Wine festival is a must especially if you live in Southern California. It is fun and something that you can do with the whole family. It also gives you the chance to taste the wines from Temecula Valley and then you will know what wineries you want to visit on your next wine tasting trip. 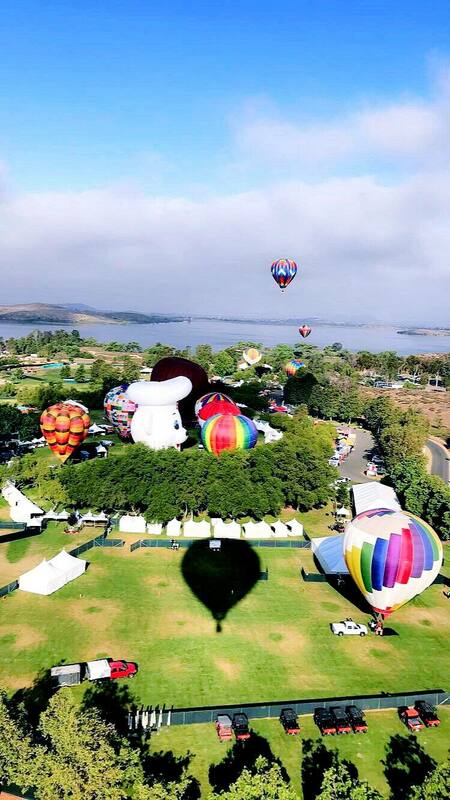 Start planning your trip to experience the Temecula Valley Balloon & Wine Festival, here.